Tolworth Tower is a landmark mixed-use building providing high quality office accommodation, retail and hotel facilities within an established commercial centre. 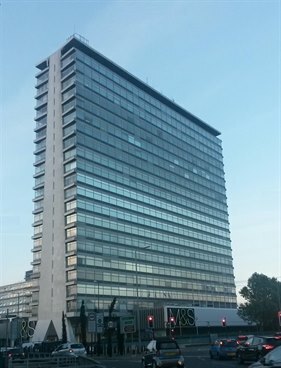 Tolworth Tower provides office accommodation which is approached by an impressive reception area with high speed pressure lifts. We are offering a wide range of sizes, from 1-2 person office suites up to full floor plates. For a full accommodation schedule please see attached brochure. 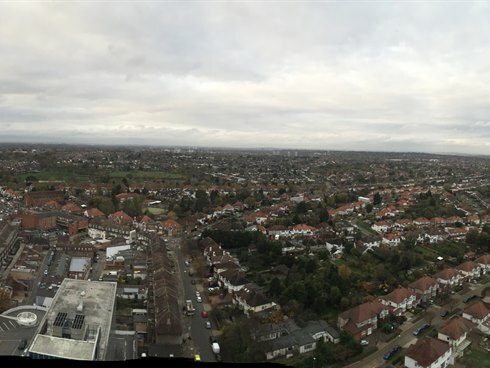 Tolworth Tower is located on the A3 Kingston by-pass which provides easy access to central London and the motorway networks via junction 9 and 10 of the M25 motorway. Tolworth railway station is within 250 yards of Tolworth Tower and offers a regular service to London Waterloo. Surbiton mainline station is also within easy reach. There are bus stops located just outside the building offering regular services to Kingston upon Thames and Surbiton. 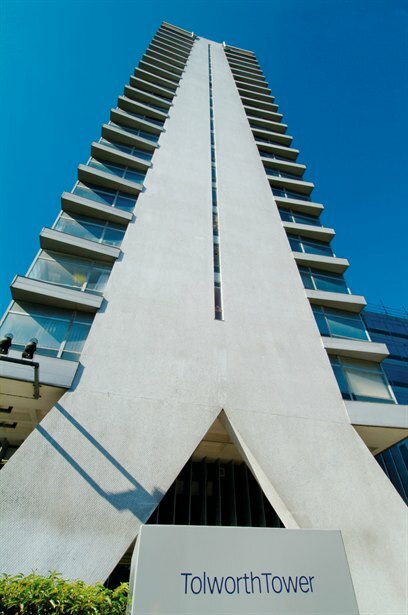 The Broadway provides excellent local amenities and wide variety of restaurants and cafés. 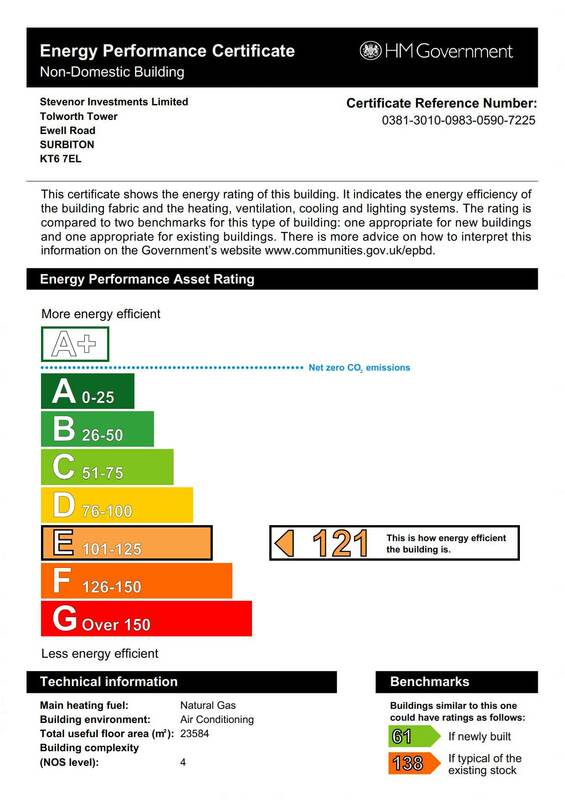 The floor is offered on new full repairing and insuring a lease for a term to be agreed. We are advised that the property is elected for VAT, therefore VAT will be charged on the rent and service charge.